Cleaning out your drains can be a messy job. Our technicians at United Plumbing pride ourselves on providing you with the utmost professional and effective drain cleaning services in the industry. We are experts in examining and cleaning drains, both interior and exterior. We use the industry’s finest drain cleaning equipment to ensure your drains are cleaned right the first time. Our technicians are professionally trained to identify the cause of the drain blockage and utilize the equipment necessary to handle any job. Main Sewer Line - If you run your laundry or flush your toilet and find that the waste water is backing up into your bathtub, then your main sewer service line is likely clogged. If you find that multiple drains in your home are backing up simultaneously, this is another good indicator that your main sewer line is clogged and needs to be cabled out. Another tip in determining if your main sewer line is clogged is to locate a white clean out access point outside of your home. This clean out access point typically has a cap on it. You can unscrew the cap and look inside. If there is standing water in the pipe, your main sewer service line is clogged. Your main sewer line cannot be cleaned out without drain cleaning equipment. In the event that you determine your main sewer line needs to be cleaned, contact our plumbers to handle this issue for you. Toilet Clog - If the other drains in your house are running properly and you find that ONLY your toilet is clogged, then this should be the only source of your problem. There is likely toilet paper, wipes, or some kind of object caught in the throat or trap of your toilet. This can sometimes be fixed with a plunger. You need to be careful that you don't compact the clog and make it worse by attempting to clear the blockage with your plunger. If you are not able to clear the blockage with a plunger, please contact us at United Plumbing and we will utilize our toilet auger to clear your toilet blockage. Shower Clog - If sewage is backing up INTO your shower, then the clog is likely in the main sewer line. If you find that your shower drain is running slowly or not draining at all, then you likely have a localized blockage in your shower drain line. You can pull the stopper out and attempt to remove any hair from the top of your shower drain. If the blockage is further down the line, you will need to contact United Plumbing and we will use our tub machine to clean your drain further down the line. Kitchen Sink Clog - If you find that your kitchen sink is clogged, you should first attempt to free the blades to your disposal and make sure there is nothing before the trap prevent the liquid waste from draining. If you are unable to get your sink to drain after trying both of these “homeowner repairs” then the kitchen drain is likely clogged behind the wall and will need to be augured out with a specialized machine by one of our professionals. We know that not all clogs are created equal, which is why each of United Plumbing’s service vehicles are equipped with eight different pieces of equipment to handle your drain cleaning needs. From cleaning a grease blockage in your kitchen sink drain to clearing out those pesky bathroom stoppages to cabling out the tree roots causing your entire house to back up, one of the best drain cleaning teams in town is happy to help. 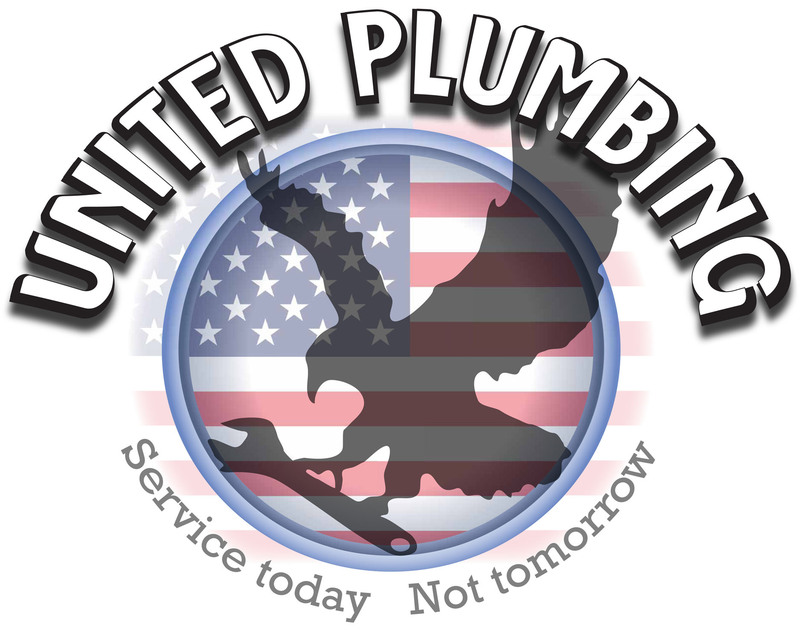 Contact your drain experts at United Plumbing to schedule your drain cleaning appointment.